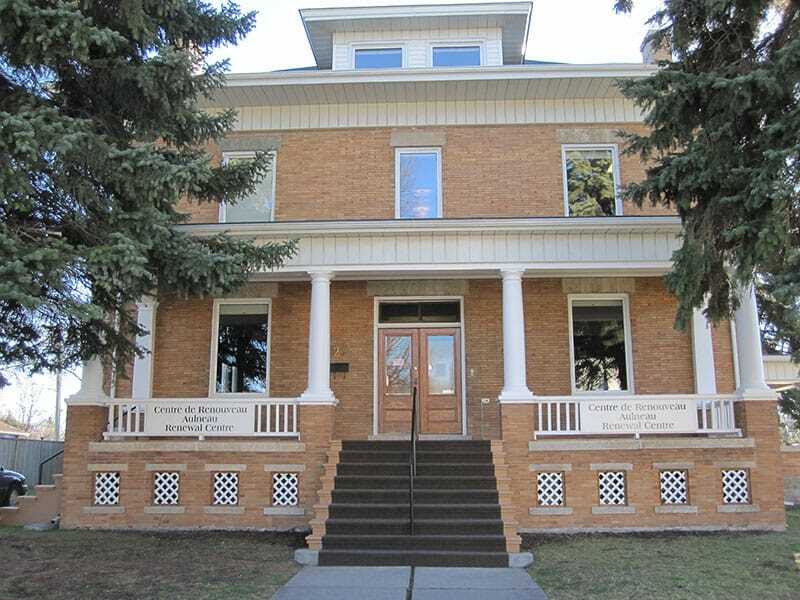 The Aulneau Renewal Centre is a registered bilingual not-for-profit organization located at 228 Hamel Ave in St. Boniface, Winnipeg, Manitoba. It was founded in 1979 as a mission of the Missionary Oblate Sisters of St. Boniface. In 1998, the organization was separately incorporated as a non-for-profit charitable organization and in 2012, it became a Sponsored Community of Service under the Catholic Health Corporation of Manitoba. The Aulneau Renewal Centre works with individuals, couples, and families to develop therapeutic plans that meet their specific needs through therapy, education, support, and guidance. We help our clients work through their challenges to discover a positive vision, so they can optimize their personal potential and growth towards renewal. It is our commitment to provide a variety of services that have unique specialties and are tailored to meet every client’s needs, regardless of their personal and/or financial situation. The Aulneau Renewal Centre believes that renewal is a journey that engages the mind, heart, body and spirit. We work together to serve others with unconditional acceptance, using a wholistic approach that brings healing and connection. We believe that healthy relationships grounded in secure attachments are critical to the development of the whole person. We value all people regardless of race, culture, religion, gender, economic means, orientation, age or ability. We have a commitment to equitable treatment and elimination of discrimination in all its forms at all organizational levels. We strive to create a culture of integrity and accountability in our actions and attitudes towards ourselves, our clients, our colleagues, our partners and the organization. We strive to lead and sustain excellence through our commitment to professionalism, and continual development ensuring high standards. The mission of Aulneau Renewal Centre is to empower personal growth by providing compassionate counselling and therapy services and by building the capacity of attachment-informed practice through training and education. The vision of Aulneau Renewal Centre is to be a Centre-of-Excellence providing attachment-informed counselling, therapy and education to help empower and heal the body, mind and spirit of individuals and families. Every client, family, child, youth, couple, and marriage has their own unique struggles but we believe that people can be empowered if they have the right tools to help them with their choices. We focus on building strength and empowering our clients to make the changes they need to help them with their personal journeys. Services at the Aulneau Renewal Centre are bilingual (French and English) and are accessible.